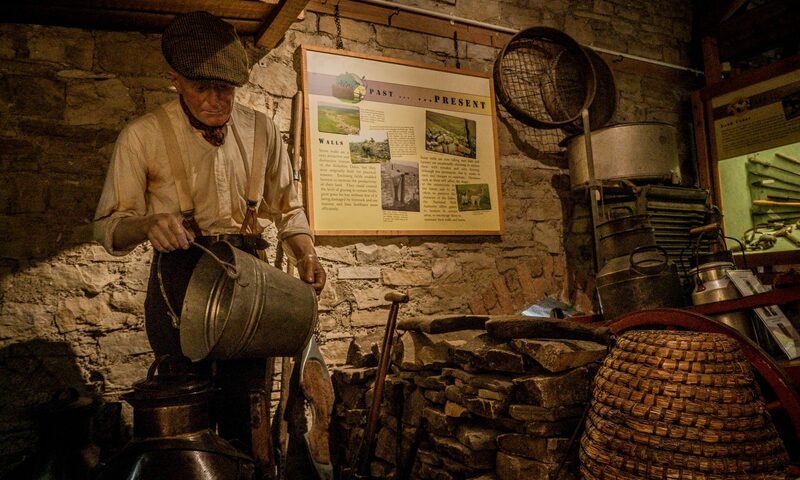 At the Dales Countryside Museum, we provide a range of exciting curriculum related, multi-sensory learning opportunities. Our sessions make use of artefacts, crafts and other resources to enhance cross-curricular learning and provide a memorable learning experience. They provide opportunities for pupils to work together to solve problems, encouraging co-operation, communication, citizenship and understanding. We offer engaging and hands-on resources and activities for all age groups and levels of study that bring the Yorkshire Dales to life while fitting in with curriculum requirements. Our museum workshops include interactive handling sessions using museum artefacts and archives. Designed to present pupils with historical and creative challenges, they stimulate independent learning. The museum has a number of boxes on a wide variety of themes, which are available for loan. This service provides teachers with the opportunity to develop their teaching across the curriculum. A wide range of historical artefacts, replica objects and useful resources comprising of photographs, maps and documents can support learning in school, provide material for display and inspiration for creative writing and art. Enhance lessons in your classroom with our historical artefacts and replica boxes on a variety of themes.